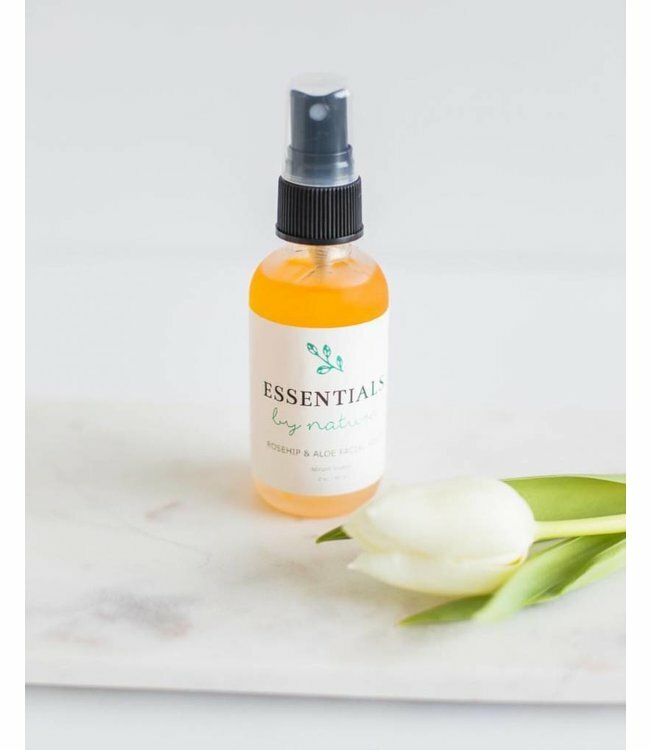 Essentials By Nature Rosehip & Aloe Facial Oil - Refinery Clothing Co. Shake well before use. Spray on bare, clean skin, being careful to keep eyes closed while spraying, and then gently massage into skin, especially around the eyes. Let dry and follow with moisturizer, if desired. Rosa Canina (rosehip) seed oil, Aloe Vera leaf juice, vitamin E, Simmondsia chinensis (jojoba) seed oil, Daucus carota (carrot) seed oil, Lavandula angustifolia (lavender) flower oil, Boswellia serrata (frankincense) resin oil, Citrus aurantium (petitgrain) leaf oil, and Naiba rosaeodora (rosewood) flower oil.